Welcome to my personal Music Diary! 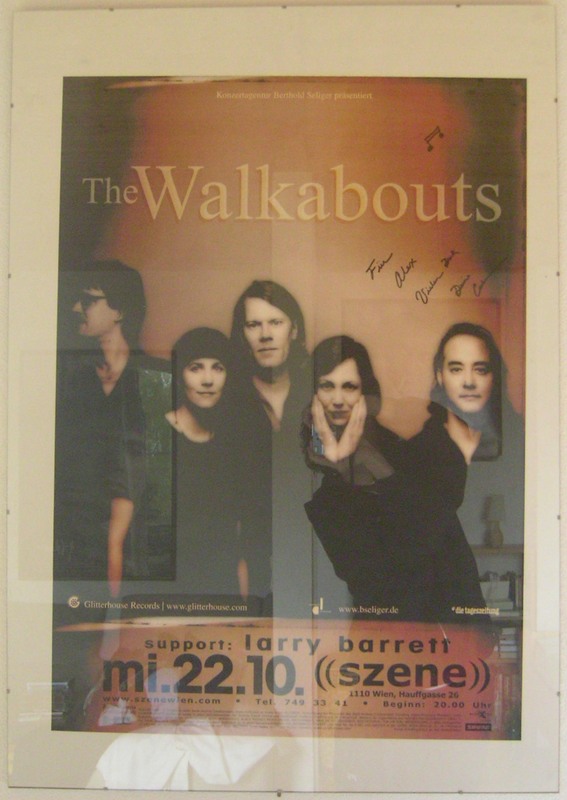 Today, on the 22nd October 2003, the amazing Walkabouts played a show in Vienna at the Szene. Larry Barrett did a wonderful support that night and after the show Chris Eckman and Carla Torgerson were so kind to sign some CD covers and the poster below – thanks again!